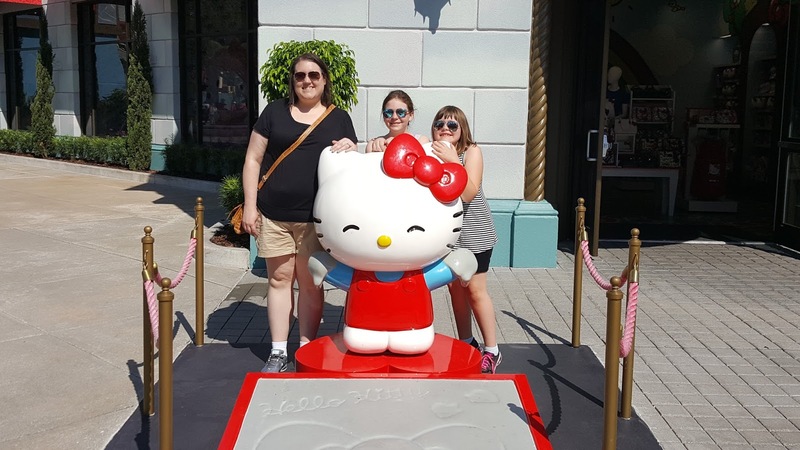 We just returned from our surprise Orlando - Universal Studios trip with the girls. 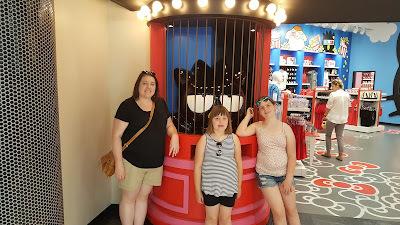 I've got several posts planned on our trip and all that we did while we were there coming soon. But first, the highlight of the trip for me was a priority to post about. 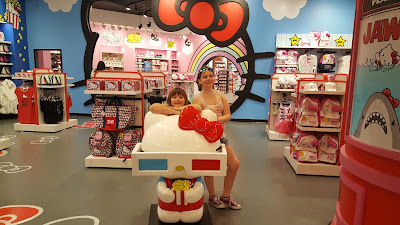 I got a bit of a surprise myself when we stopped by a Hello Kitty Store at Universal Studios Orlando and was able to meet Hello Kitty herself. 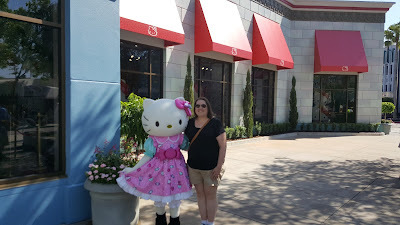 I didn't even realize there was a Hello Kitty store inside Universal! 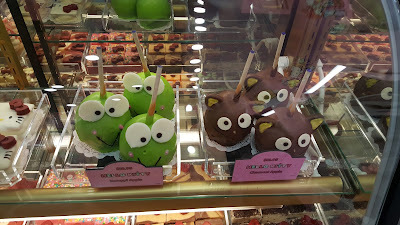 The shop was adorable and I might have spent all my souvenir money there on new pjs and shirts for the girls. 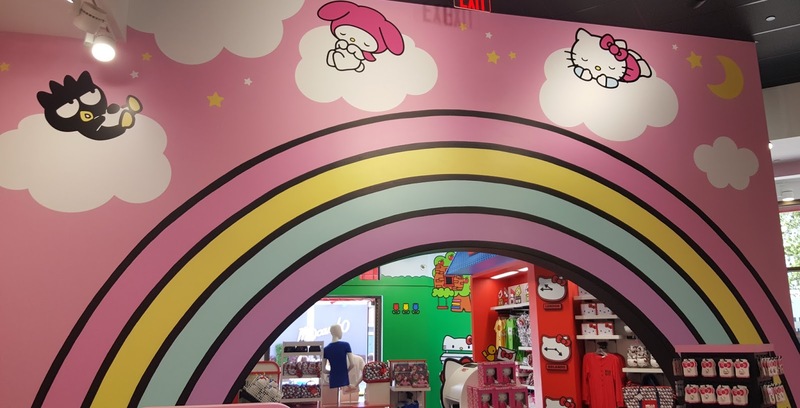 They had several other Sanrio characters (Tuxedo Sam, Pom Pom Purin, My Melody, Chococat, Kerropi, and Badtz Maru) but Hello Kitty was definitely the most prominent character. 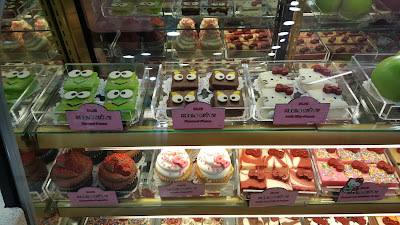 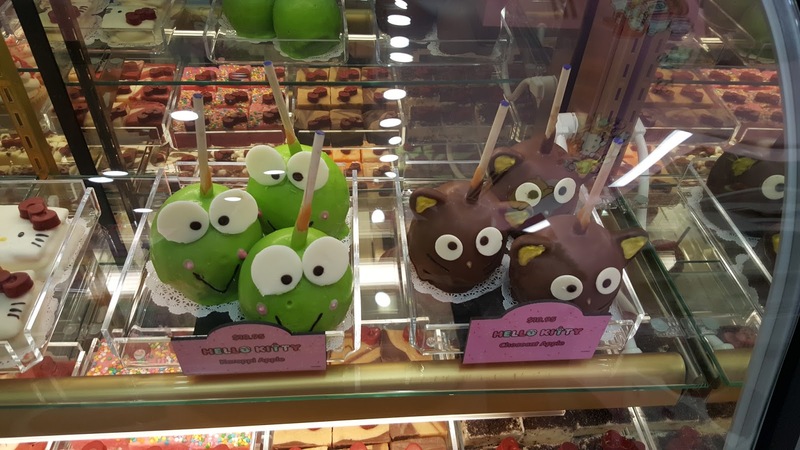 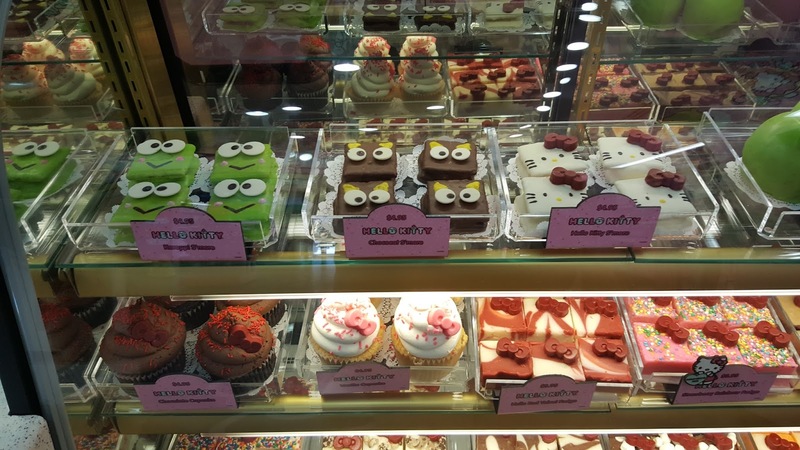 They also had a bakery case of Hello Kitty and Friends themed treats just like in Hello Kitty Cafes in Japan and Hawaii, how cool! 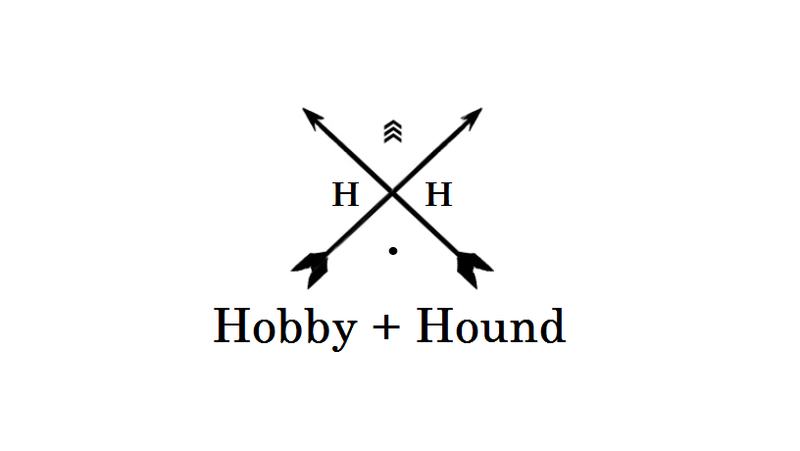 I was really tempted to load up on stuff for me as well but I don't really need anything (no more clutter!) 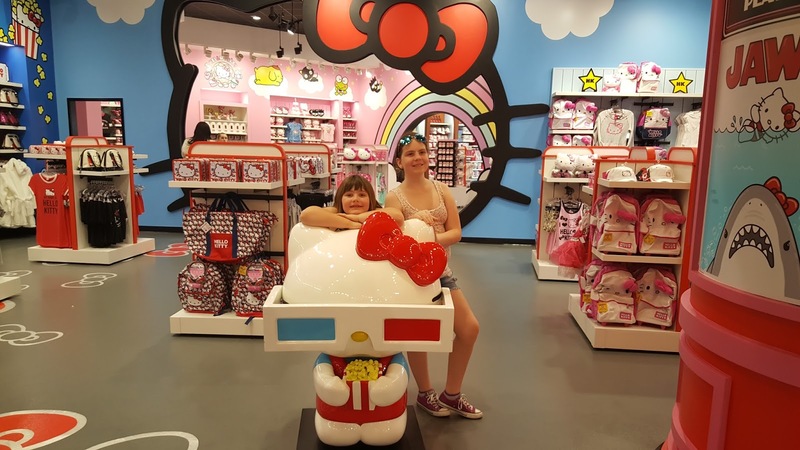 but the girls benefited from some new clothing so we minimized the excess! 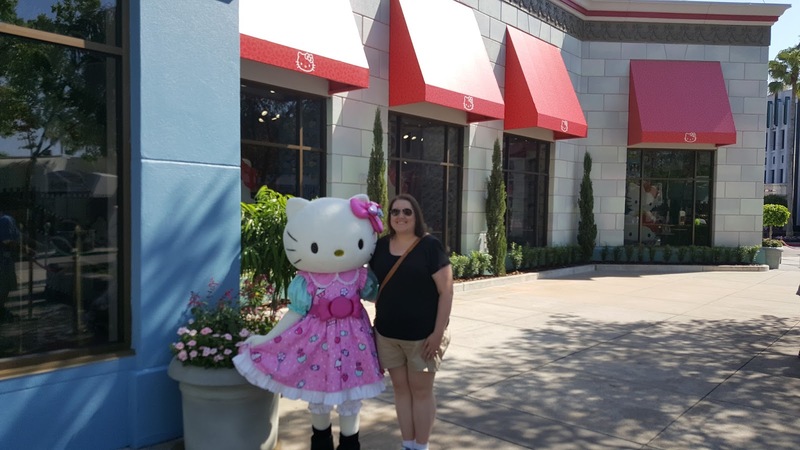 I will mention that like the Disney Trading Pins, there are now Sanrio/Hello Kitty Trading Pins and had they not been so expensive, I definitely would have started a collection of those.